"I think we’ve got probably 19 players for 15 positions." Pakistan haven’t won a whole lot of encounters in the ODI format ever since the start of 2018 apart from the five-match series against Zimbabwe that they won 5-0. The World Cup is only around four months down the line and Pakistan are in with a stern task of getting their combination right ahead of the mega event, which is scheduled to start on May 30 in England and Wales. Pakistan won the World Cup once back in 1992 under the leadership of Imran Khan and would be keen to get their hands on the silverware. 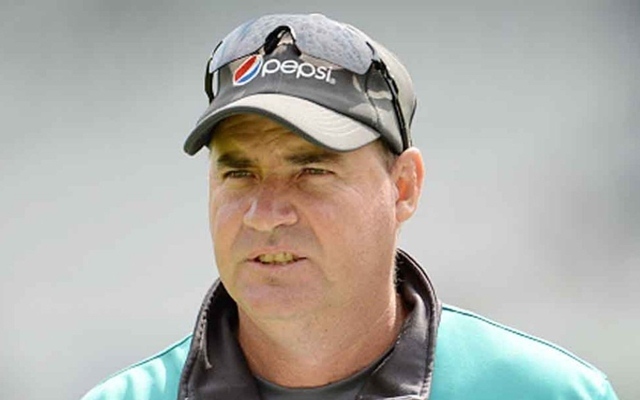 In the meantime, Mickey Arthur, Pakistan cricket team’s head coach, iterated the selectors would be picking a few players for the tournament from the upcoming edition of the Pakistan Super League (PSL), which gets underway on February 14. “Inzi (Inzamam-ul-Haq) and I have been on the same page for a long while here. And I’m going to be honest because I’ve told the boys in the dressing room the same thing the other night. I think we’ve got probably 19 players for 15 positions. PSL always throws up one or two good individual performers, so we are going to have a look at some of our borderline players, the guys that we are not sure about,” Arthur was quoted as saying in ESPNcricinfo. Pakistan recently lost the Test, ODI and T20I series against South Africa. Even as the red-ball matches were one-sided, the visiting team fought their heart out in the ODI and T20I series, which they lost 2-3 and 1-2 respectively.